About Comics has been publishing since 1999, and has survived in a field of big launches and big failures by being small, lean, and creative. 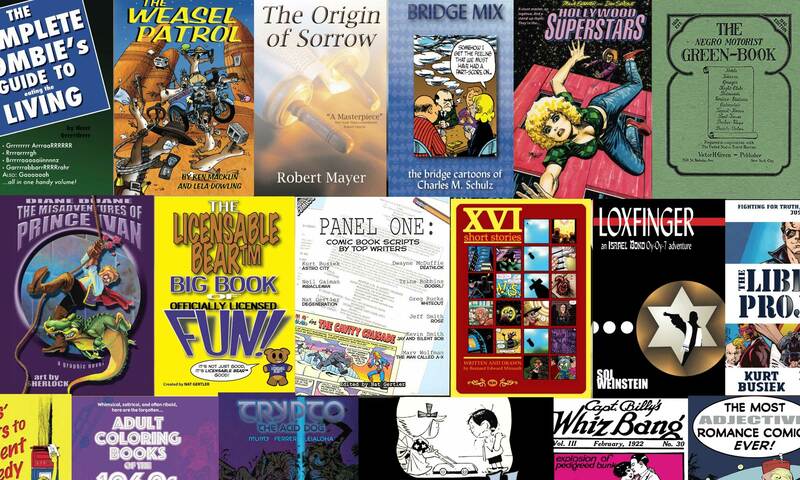 A one-person company founded and still run by comics creator Nat Gertler, About has published a wide range of materials, including not only comics (both original material and classic reprints) and material for comics creators (including how-to books and The Blank Comic Book), but also non-comics material. About Comics also provides “comics services”, handling almost any part of the comics creation process that a client may need, whether it’s locating creators for a project, preparing special reprint material, or even creating full original comics to fill a special need.